According to Dr. Tarek Khalife, a Mayo Clinic Health System OB-GYN physician, ectopic pregnancies are rare. However, he says in the off chance an ectopic pregnancy is discovered, it’s a situation that must be taken seriously. Often, patients have questions and are looking for answers to understand this condition. Read on for a few of the most common topics Dr. Khalife discusses with patients related to ectopic pregnancy. It’s rare for an ectopic pregnancy to coexist with another normal intrauterine pregnancy; yet, it’s still possible and poses critical challenges in diagnosis and treatment. Luckily, it’s an uncommon event, except in patients receiving fertility treatments, where the prevalence is a ratio of 1 in 100, as compared to 1 in 30,000 in spontaneous pregnancies. Ectopic pregnancies don’t have specific symptoms and can be easily missed if the health care provider fails to keep it in mind. Ectopic pregnancy-related symptoms vary between showing no symptoms at all, especially during the early stages, to severe lower abdominal pain with dizziness caused by massive internal bleeding. Presentation and symptoms also vary depending on the location of the ectopic implantation. Dr. Khalife says commonly reported symptoms of ectopic pregnancies include vaginal spotting and vague lower-abdominal or pelvic pain. However, vaginal spotting and vague lower-abdominal or pelvic pain can mimic the same symptoms as patients with normal pregnancies. “This is why it’s important to track your periods,” explains Dr. Khalife. “When you miss your period, especially if you’re not on reliable birth control, you should perform a pregnancy test and follow up with your health care provider as soon as possible. This helps you document a potential pregnancy’s location and viability at around five to six weeks of gestation, and increases the chance of early diagnosis and treatment of an ectopic pregnancy. In these scenarios, Dr. Khalife says pregnancy hormone levels are monitored for the rate of rise, which tends to be abnormal in cases of pregnancy in ectopic implantations. 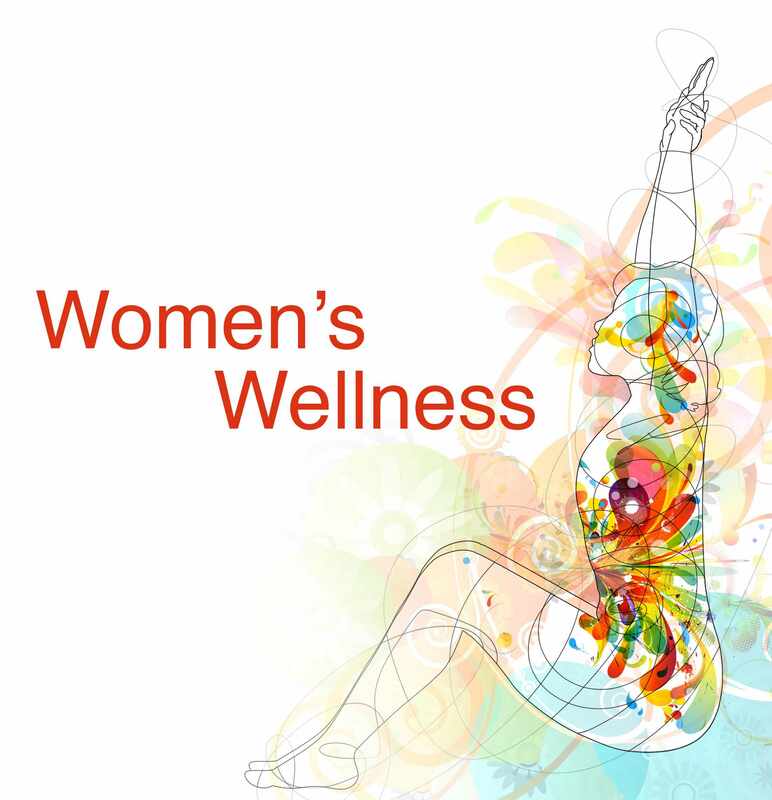 Rarely, when pregnancy hormones are not rising normally and the location of the ectopic pregnancy is not confidently identified despite serial follow-up ultrasounds and pregnancy hormone testing, aspiration of the uterine cavity is performed to rule out an abnormal uterine pregnancy. Treatment of ectopic pregnancy depends on the gestational age, symptoms and location of the gestational sac. Advanced ectopic pregnancy usually presents with rupture, pain or severe bleeding. In these situations, surgical treatments often are indicated for surgical removal of the pregnancy and control of bleeding to protect the mother. If ectopic pregnancy is diagnosed early and before the onset of symptoms, a medication can be used to stop the growth of the pregnancy and allow the body to absorb it without removing the fallopian tubes. In the case of a tubal pregnancy, surgical treatments include laparoscopic surgery to remove the ectopic tissue and repair the fallopian tube. 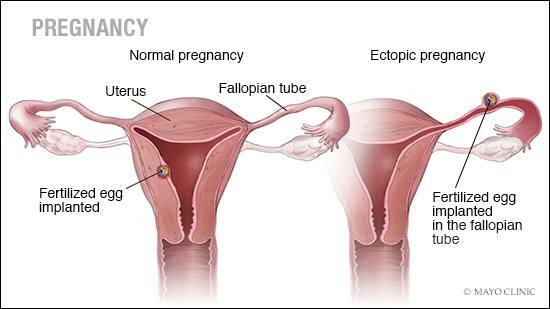 Ectopic pregnancy is a pregnancy where an embryo is formed, and, hence, the emotional toll of this loss on the patient and her family rivals the experience of patients who experience a miscarriage or neonatal loss. Add to that the possibility of losing an organ such as the fallopian tube and the anxiety of not being able to conceive in the future. The process of grief after a pregnancy loss could take several weeks. The patient might feel numb, sad, guilty, angry and apprehensive about the future. Most patients who experience ectopic pregnancy and treatment will achieve a successful pregnancy in the future ─ even if they’ve lost one fallopian tube as part of the therapy. There is a 10 percent risk of recurrence, which is why it’s important to work with your provider when planning for a future pregnancy. Also, early documentation of an intrauterine gestational sac is of paramount importance. Since fertility treatments are risk factors for ectopic pregnancy and ectopic pregnancy is a risk factor for another ectopic pregnancy, treatment of ectopic pregnancy and its effect on fertility is a complex issue. Studies that have looked at the difference in fertility after treatment of ectopic pregnancy showed that medical treatment of early ectopic pregnancies with medication, compared to fallopian tube-sparing surgical treatment, had no adverse fertility outcome. Also, patients who were treated with fallopian tube-sparing surgery and fallopian tube removal surgery had almost the same rate of pregnancy after treatment if the other fallopian tube was healthy.